It is only mid-March, but we are taking advantage of our spring weather. On Monday evening, we sat out on the patio, relaxing and listening to all the birds that are back in town. 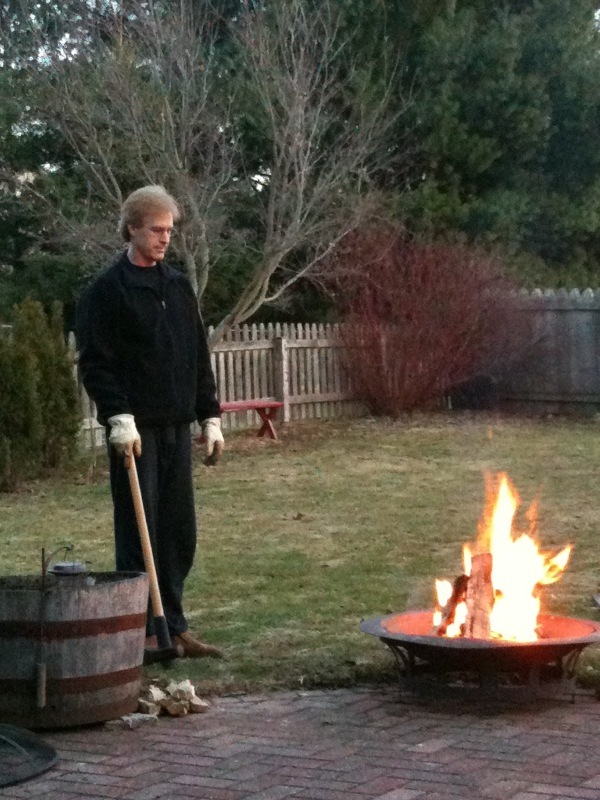 Dave decided we should have a small campfire… just because. Wish you could have joined us! Good one, Doris! I think your winter in Des Moines was WAY worse than ours, so YOU deserve an early Spring! OOH I want a fire bowl! I love a little backyard campfire! Sounds like a really good relaxing time! Wish i could have join you guys. Have a lovely merry happy day and love to yoU! Sounds like a perfect evening. I love to sit by a fire. It’s always so refreshing in the spring to get outside, especially if you had to stay in so much in the winter, and just cozy up to a fire! Nice! How nice~looks so cozy~Happy Spring!